A guide for understanding the top medical online resources. There is an immense amount of data on the internet and this can make it hard to differentiate between facts and fiction sometimes. However, this can be crucial when it comes to medical data. It is especially so since almost everyone now searches for his or her symptoms online. Poorly communicated or incorrect information could cause a patient to ignore serious symptoms and worsen their condition. Many sites online offer medical information. Despite this, one has to ensure that the source they pick is of high quality. This is why I have decided to compile a list of ten sites, where a patient can be assured of getting accurate health information. It will allow patients to have better control of their health when they use the internet to search for symptoms. The NIH is the largest source of funding for medical research globally. To complement its activities, it also runs one of the most high-quality medical sites in the world. Various estimates suggest that the site gets over 20 million unique visitors each month. Over 40 percent of that traffic comes from the US. According to Alexa, the site is ranked number 161 in the US and number 354 globally. The data also shows that visitors to the site stay an average of four minutes. The site has a wide array of information on almost all known diseases. It also contains details of how grants, funding, and training programs are carried out. The site is quite easy to navigate; the site’s data is categorized into a few general categories by age group and gender. There is almost no clutter on the site such as unnecessary pop-ups. Besides that, the load times are quite fast. This shows that a lot of work went into maintaining this high-quality site. Additionally, most of its data is updated quite often. You will be hard pressed to find a site online with more up to date healthcare data than this one. Besides that, to ensure the authenticity of its data, references are often included for renowned scientific journals. The site is written specifically with the American audience in mind. However, it does offer a full range of treatment options offered for almost all known medical conditions. The treatment options are often written in simplified technical language, which makes it easy for anyone to understand. All the medical information on the site is independently reviewed and produced by a team of medical experts. On this site, you will not find any petty health theories that have not been proven by evidence. This is why even medical doctors rate it so highly. The site is best used for facts. Once your doctor explains something to you, you can visit the site to get the details in non-technical language. Besides that, if you suspect you have something, you can visit the site, where you will find a full and comprehensive list of symptoms listed. Any difficult terms come with a hyperlink, which you can click to find out more details. The site also often reports on recent health news but in an objective manner. It will often reference studies and seek different opinions on any new medical information. It also offers a practical approach to medical treatment. For instance, it will suggest questions that you may ask your doctor for common medical issues such as diabetes and cholesterol. The site proudly proclaims that it is the most comprehensive source of up to date source of facts on drugs. The site presents facts and data on 24,000 prescription drugs. Both medical experts and consumers use it. It is estimated that it gets about six million unique monthly visitors. The aim of the data it provides is to help patients understand how their medication works, the side effects and how it interacts with other drugs. It has a unique tool called “Pill Identifier” that helps users find legal drugs based on their names or appearance in the US. Four leading suppliers of medical data power the site’s database. These are American Society of Health-System Pharmacists, Wolters Kluwer Health, Micromedex from Truven Health, and Cerner Multum. 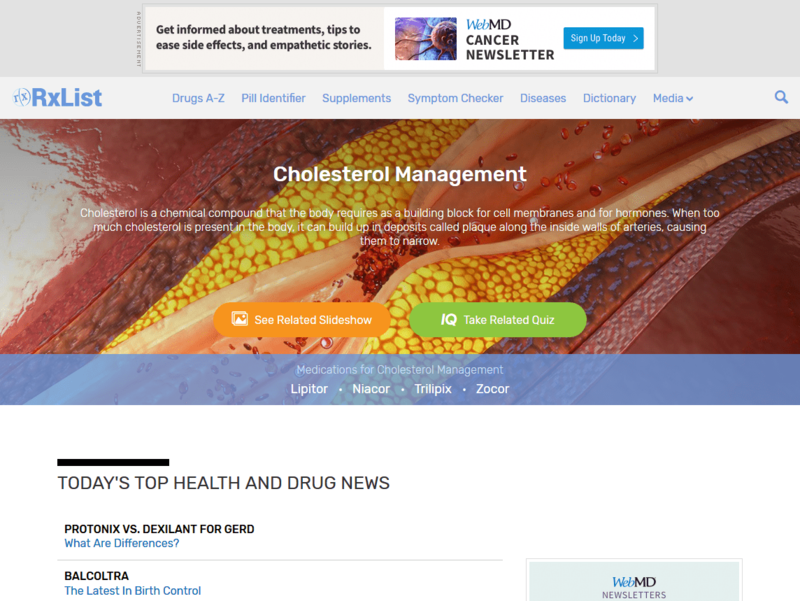 On the site, you will also find Harvard Health Publications. The 9,000 faculty physicians at Harvard Medical School generate information for these publications. Thus, you can expect that all the data you find here is trustworthy and authoritative. You also find a medical dictionary that is powered by Stedmans. The dictionary has been a trusted source of facts in the medical world since 1911. One of the best aspects of this site is that its data is always updated. It contains all the latest treatment options for patients. Additionally, if you wish, you can get a list of reliable references, which are found in each article. This way, not only is the information up to date, but users are assured that it is based on scientific facts. No matter where you are in the world, this information works perfectly. The site is best for those who wish to learn more about treatment options ranging from medical to lifestyle treatments. It often goes into detail about medical conditions and the treatment options used. In some cases, there are videos and animations that help to explain tough concepts such as LASIK eye surgery. It also often provides useful lifestyle details for the body and mind. For instance, you will find details on how to create an impactful witness routine. The symptom checker is also worth noting. Here you will be able to pick your key symptoms. After that, you will be asked for the secondary symptoms. You will then receive details on possible causes to help you understand what you might have. However, you need to keep in mind that this is not a replacement for your doctor. 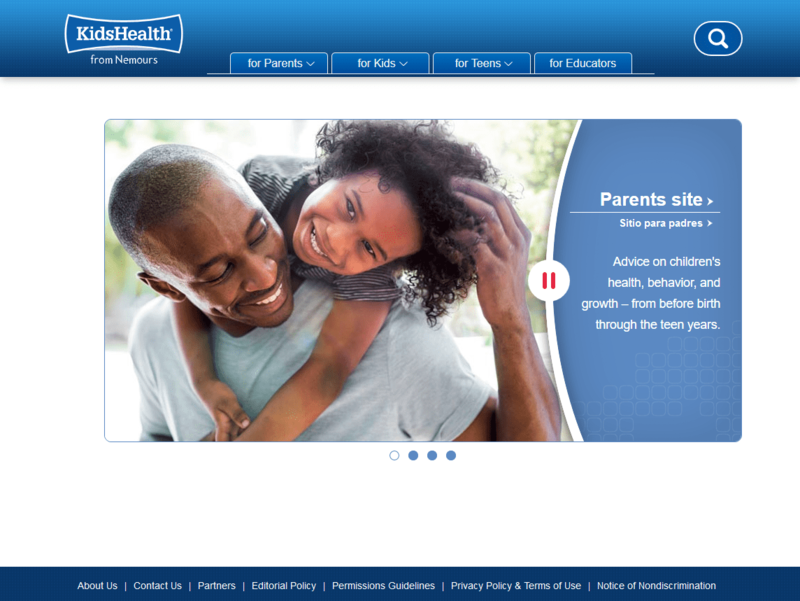 This site bills itself that the go-to site for children’s health issues on the internet. The site has four different sections; advice for parents, homework help for children, teaching aids for educators, and advice for teenagers. It gets about 700,000 hits per week. Nemours run the site; they are a nonprofit health system for kids. Neil Izenberg MD created the site in 1995. The aim of the site is to assist teens, parents, and kids take control of their health. To achieve this, the site offers families the tools they need to make the best medical choices in life. On the site, you will find expert-reviewed advice on emotional, physical, and behavioral topics starting at birth up to their teenage years. The separate sections for the teens, kids, and parent each have unique questions and answers. To ensure the information is as clear as possible, you will find articles written in simple language, videos, slideshow, and tools designed to help families achieve their best. There are also free programs and lesson plans for each childhood educators and teachers. The design is kept as simple as possible. In fact, anyone who has a minimum understanding of how to navigate a website will love this site. 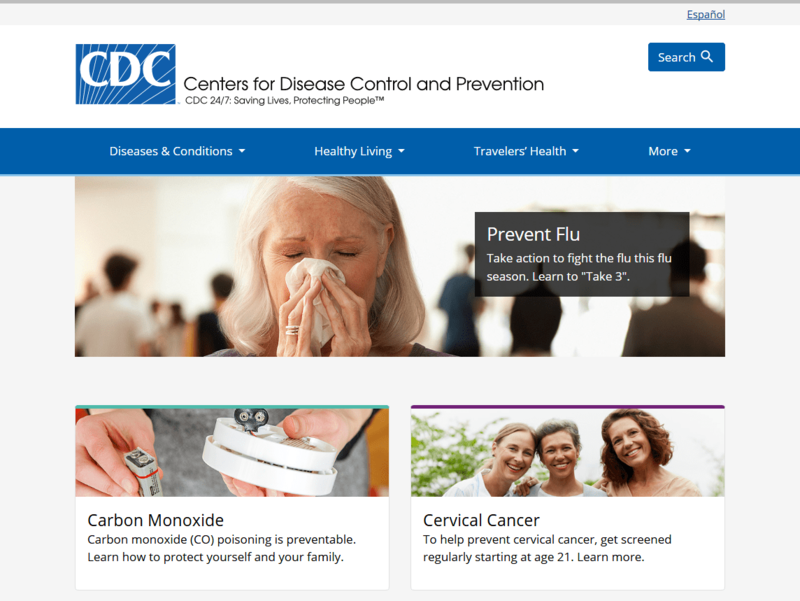 CDC.gov is a site run by the Centers for Disease Control and Prevention. It is a public site, which means linking to this comes at zero cost and does not require any special permission. The site provides access to important safety and health topics. You can also find statistics and data, scientific articles, various resources, tool, and over 900 medical-related topics on the index. The site is committed to disseminating reliable health facts to the masses to help improve people’s health. It utilizes research to improve the daily lives of people. It also often disseminates information on any health emergencies. The site works with other partners and states to offer a health surveillance system that is unmatched. For instance, in case an outbreak is reported in your area, this should be the first site to visit. They will usually update information and facts on what people need to do. You will find various detailed strategies on disease prevention and control. It also guards against transmission of diseases outside the US. When traveling to a foreign region, it would be worth checking it out on the CDC site. You will find the types of shots you need to take and what measures you may take to avoid infectious diseases common to the region. The site is a treasure trove on symptoms of various diseases. If one believes they have contracted a certain illness, they will find the symptom listed on the site. Besides that, they will get advice on how to ensure it does not spread any further. You will also get details on detailed directions for dealing with it such as possible quarantine. Besides infections, the site also contains details on injury prevention. It provides guidance on how people can keep safe while at home or at work. The experts at CDC study common injuries and how best to avoid them. They conduct tests and fund programs to better understand injuries. Additionally, it provides details in immunization and vaccines for kids, adults, pregnant women, and health professionals. The site has details about vaccines for specific groups such as heart disease patients and teens. 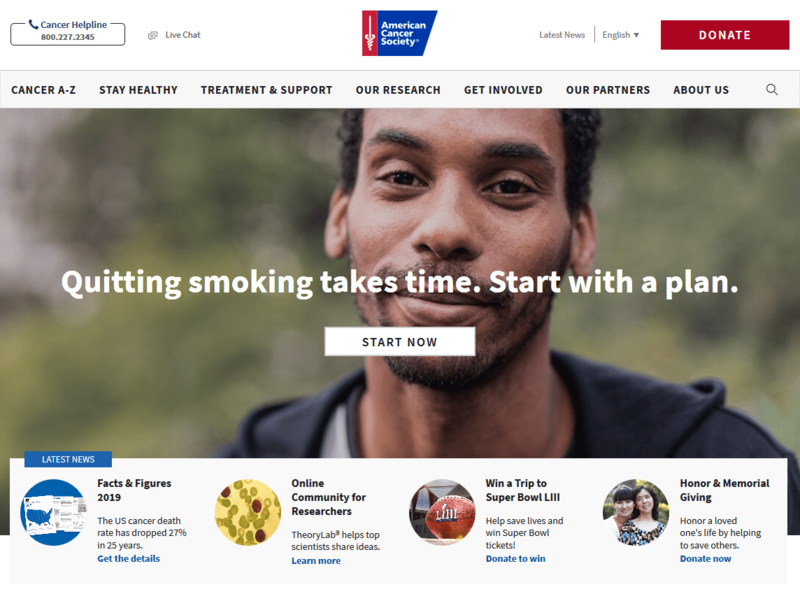 Cancer.org is a site run by the American Cancer Society. The mission of the ACS is to save lives and lead the fight in a world free of cancer. As it has become well know, when cancer strikes, it often strikes from all sides. Thus, this site was created to lead the fight in cancer from all sides in the US and globally. The site presents facts for healthcare experts to assist them to fight cancer better. It also provides support to cancer patients. For instance, you will find details on the side effects of treatment and the various treatment options. Other details you will get include how the diagnosis for cancer is done. You will also find details on the diagnosis process what your diagnosis means. While the doctors provide you with details on the diagnosis, the site can be useful in reviewing the information you got. The site also offers suggestions on how to talk about the diagnosis with the medical team and your loved ones. The site also touches extensively on the practical aspects of getting treatment for cancer. Visitors to the will find details on how to deal with insurance and financing issues for treatment. You will find a list of questions that you need to ask and an interactive tool on how your cancer might be treated. The site is quite comprehensive. The site has support resources to help those dealing with cancer, including for their loved ones. All the help that is found on the site is free. They help to connect patients and their loved ones with caregivers, volunteer, community leaders, and health care experts. Where free support resources are not available, the site will help users accept low-cost resources. In general, this is one of the most comprehensive sites on the internet, which deals with all aspects of cancer. The site is easy to navigate and pages load fast. Anyone who needs to learn more about cancer should consider this site. 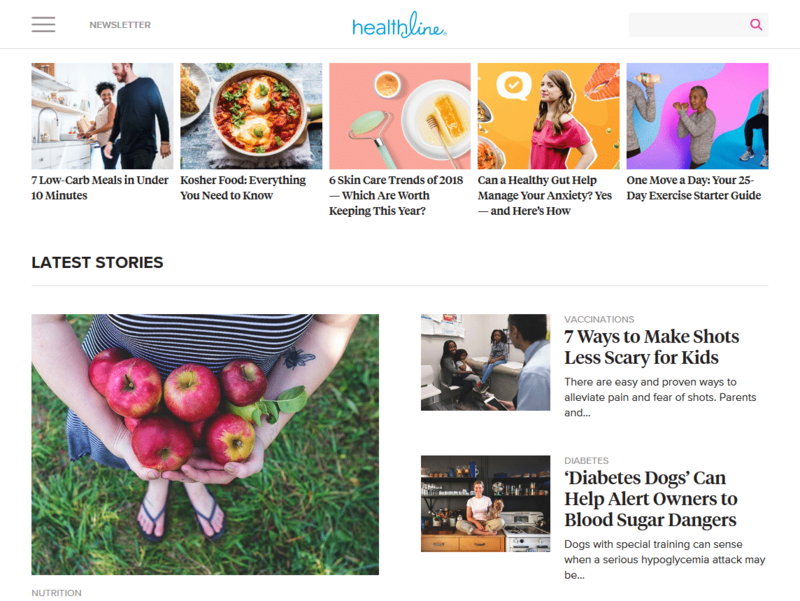 Healthline.com is a site run by Healthline Media. It is one of the top health information websites and it has recorded significant growth in the recent past. The site is able to reach tens of millions of people globally each month. It receives traffic that is up there with the likes of WebMD, although it is still relatively young. The site’s growth has mainly been driven by the focus on consumer needs instead of the commercial aspect, which has paid off for its founders. The aim of the site is to find content that is empowering and empathetic and then present it in a manner that ordinary users can understand. 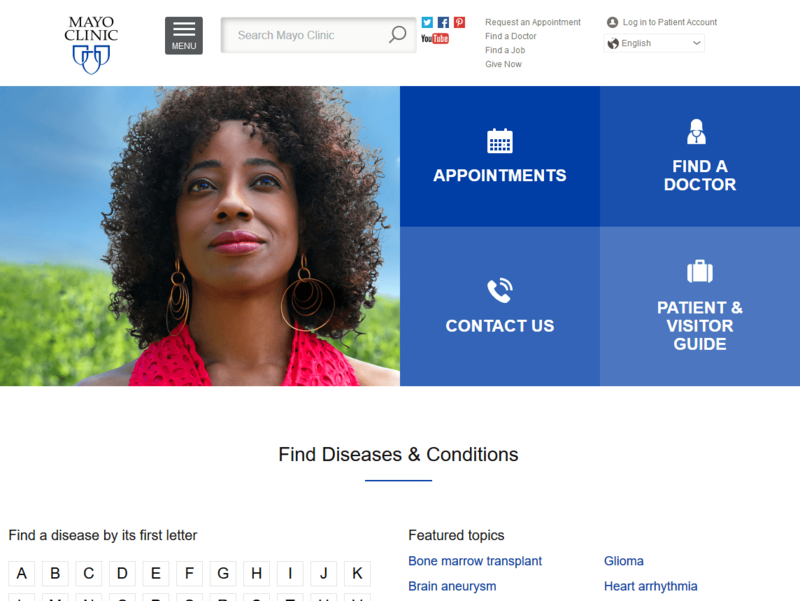 Whether one is researching a medical condition or looking for the latest news on an illness, they can find it here. The site also has communities where users can ask questions to those in the community. Another noteworthy aspect of the site is that it is mobile friendly. In fact, a majority of its visitors use the site on mobile devices. The site does make it clear that it has advertising partnerships with other sites such as Drugs.com. However, it does not let that interfere with the quality of information it delivers to customers. RxList is a medical website that is dedicated to offering details and information about generic and brand drugs. 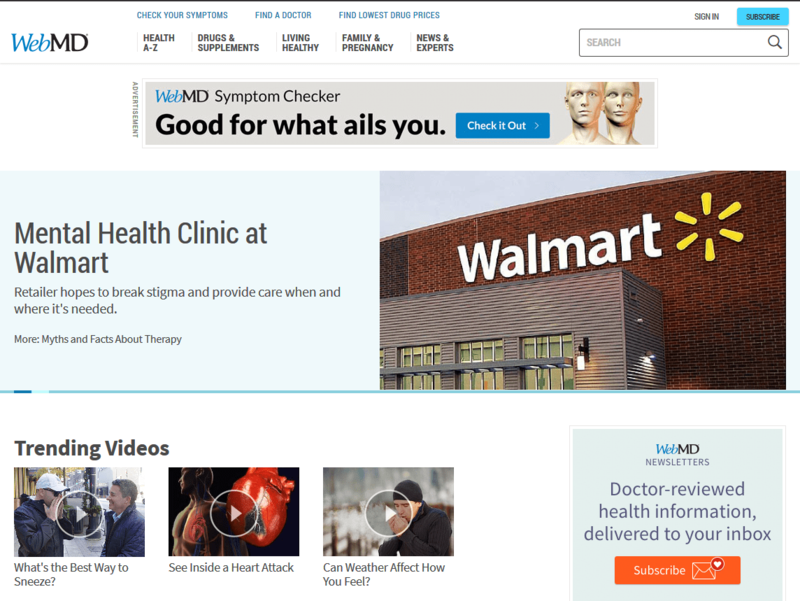 The site is owned WebMD as part of the WebMD Network. 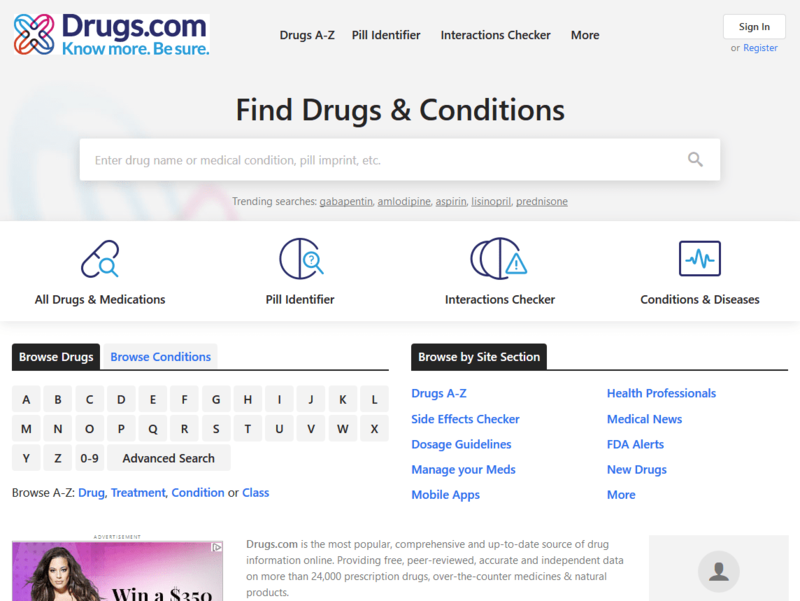 Pharmacists founded it in 1995 as the ultimate Drug index resource online. As with WebMD, the site is updated often and provides details information in an easy to understand manner. Doctors and pharmacists write all the information offered on this site. Besides that, the information is often reviewed and updated to ensure that it is as accurate as possible at all times. Besides that, the information provided is accompanied by reliable sources such as the First Databank, Cerner Multum, and the FDA. The goal is to provide beneficial and accurate data and it does everything it can to ensure that it achieves it. Once on the site, navigation is quite easy. Drugs are listed in an A-Z index where the brand and generic names are listed. Alternatively, you can enter the drug name in the search box and click search. There is even a pill identifier to help you identify a specific pill. The American Medical Association was founded in 1847. It is the largest associations of DOs, MDs, and medical students in the US. Their mission is to promote medicine, science, and betterment of public health. 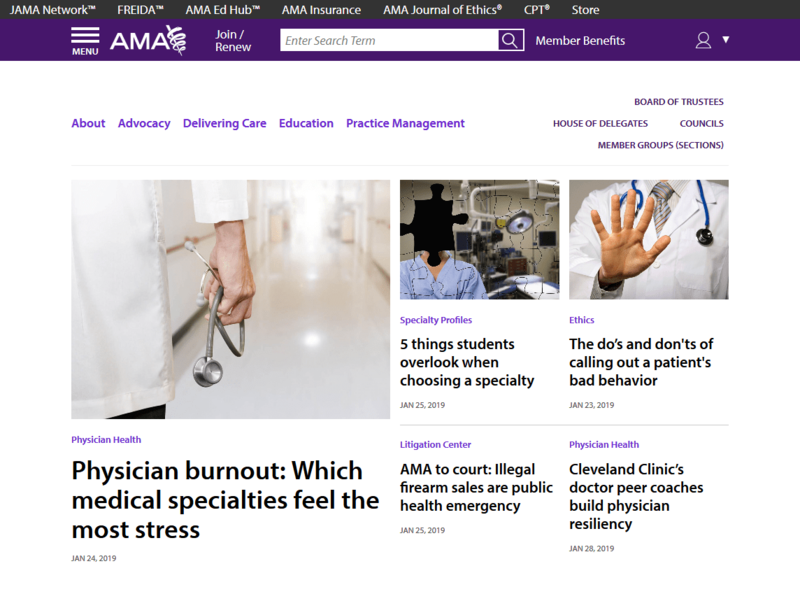 It is also behind the Journal of the American Medical Association. 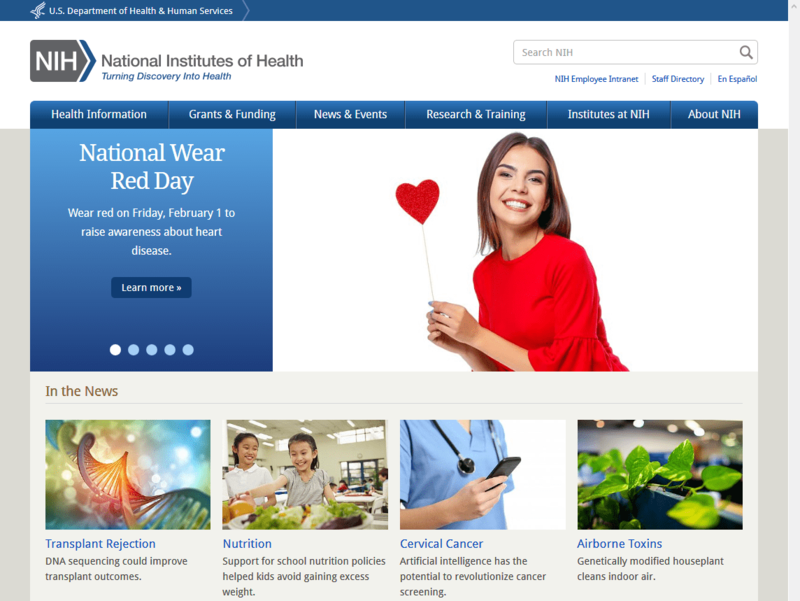 The medical website provides both medical advocacy and advice to visitors. For instance, the association has been open against harsh verbal discipline or punishment. It also talks about other issues affecting the US such as the marketing of opioids amidst the current opioid epidemic. Most of the information found on the site is related to policy and management of practices. In short, it aims to help physicians work better and stay abreast of what is going on in the industry. For instance, it provides a detailed guide on how to process claims and what physicians need to know about Medicare and Medicaid. In terms of education, the site provides information on how physicians can grow their career through education and much more. In general, this site is easy to navigate for physicians and medical students looking for facts and information that influence their economics and careers. The site is quite responsive and does not have any clutter. While there are many medical sites to choose from, the selected 10 websites above are great for doctors and other medical professionals to find facts. They can also be great to their patients, where they feel that patients need to get a more simplified understanding of their medical condition.